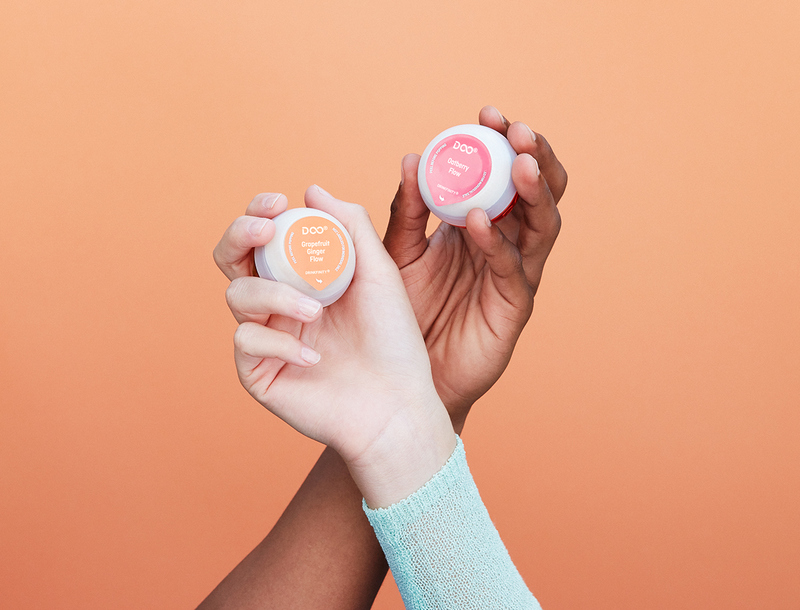 In a world where disruptive consumer products are the norm, beverage companies are still struggling to innovate beyond ingredients and flavor. How to break through? 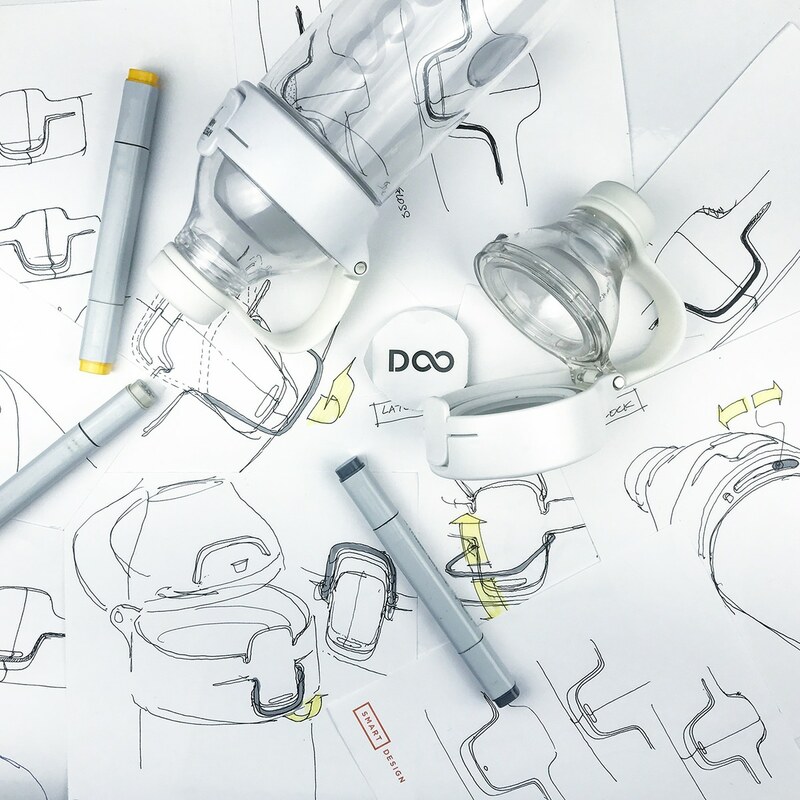 That’s the question PepsiCo grappled with when they approached Smart Design with an idea for a revolutionary new beverage system for Millennials called Drinkfinity. 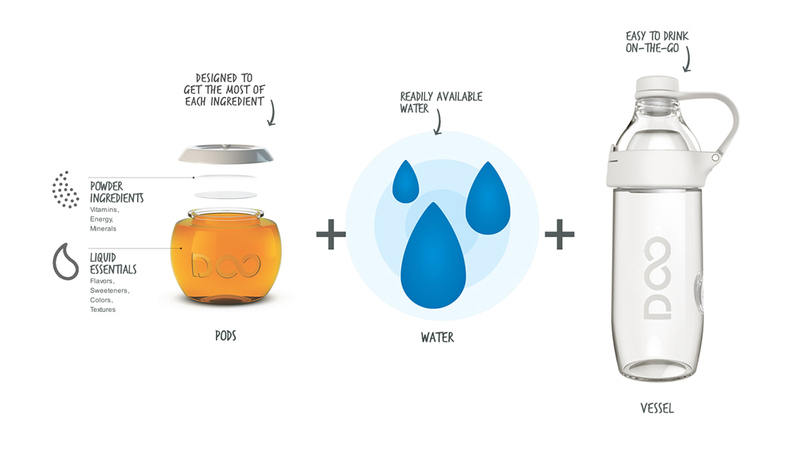 Pod and Water Platform – Clean, ready-to-drink water is readily available for the vessel throughout the day via tap and water fountains. 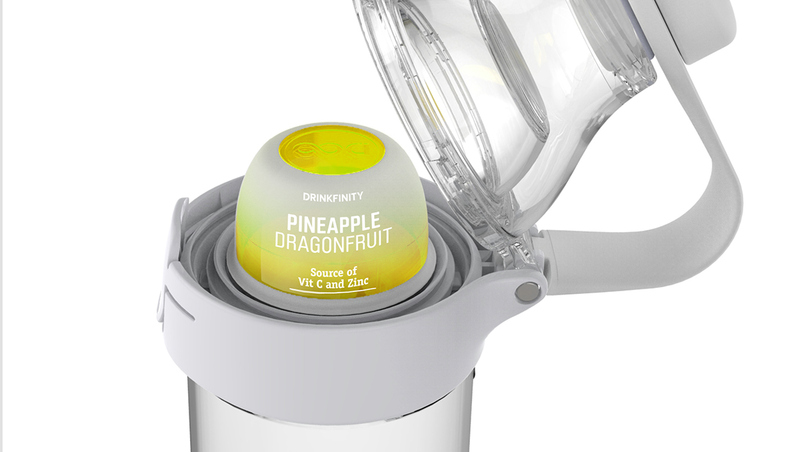 An innovative pod platform mixes with the water in the vessel to create refreshing beverages as desired. The pods are convenient, portable, and offer a wide range of functional benefits and flavor options. They are also recyclable, and because water is not being unnecessarily shipped in traditional plastic water bottles, the net environmental impact is reduced. The size and scale of the pods are also optimized for efficient e-commerce. Liquid and Powder Pods – Each pod has a liquid and powder component, which allows specific beverage ingredients to be delivered in the most optimized and natural format. 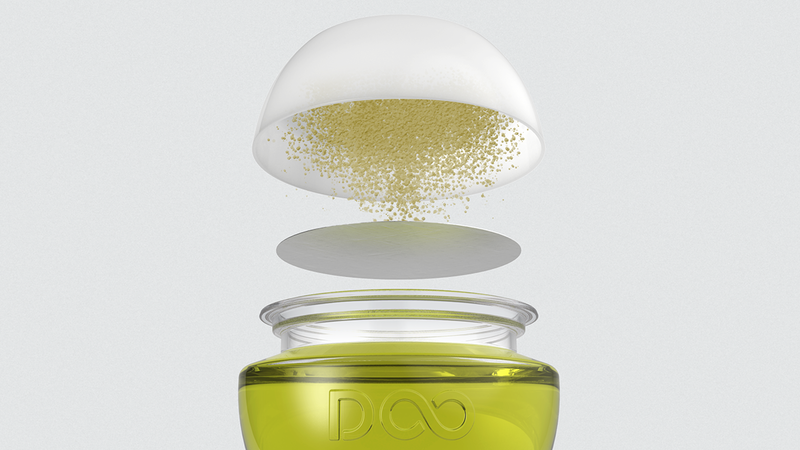 When a pod is pierced in the sealed vessel chamber, the liquid and powder components are mixed with water to create a unique and fresh beverage that tastes great. 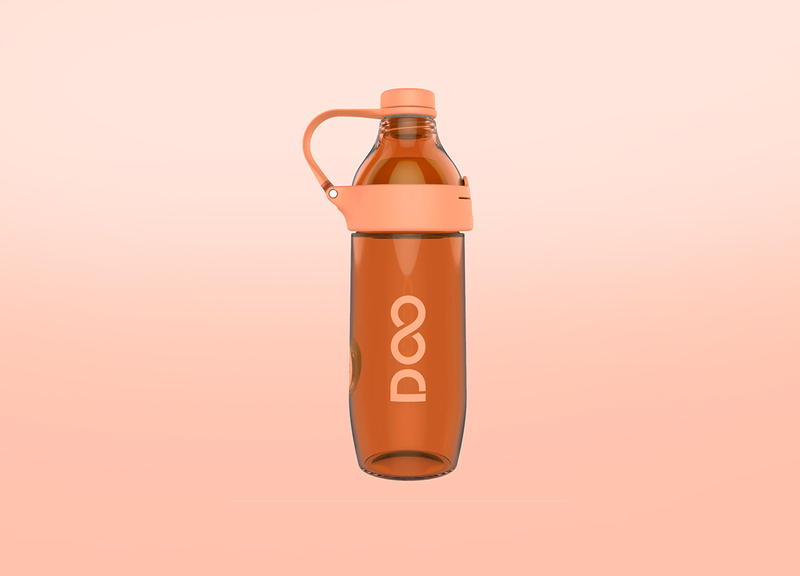 Reusable Vessel – The Drinkfinity vessel has been designed to meet people’s growing desire for a single, reusable hydration bottle that can be used throughout the day – whether on the go, in the office, or in the gym. 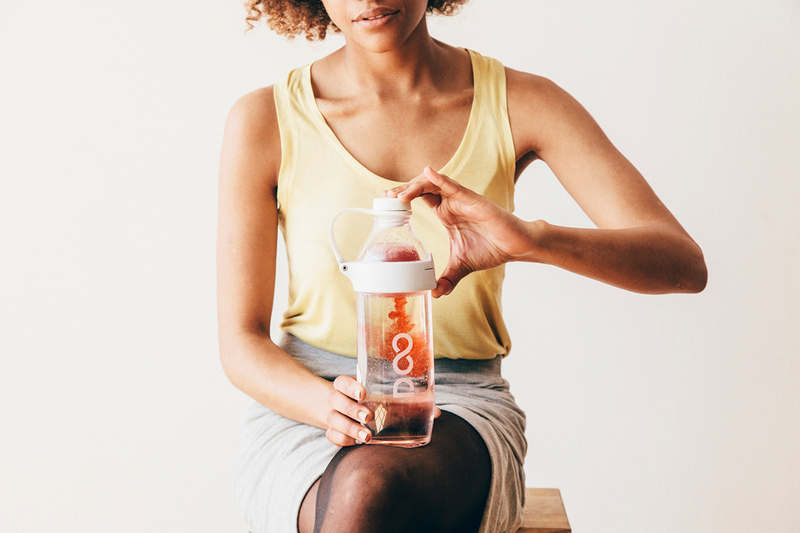 Drinkfinity’s vessel offers 24-ounce capacity, an optimized drinking spout, and a magnetized cap and lanyard holder all integrated into a beautiful and easy-to-clean design. 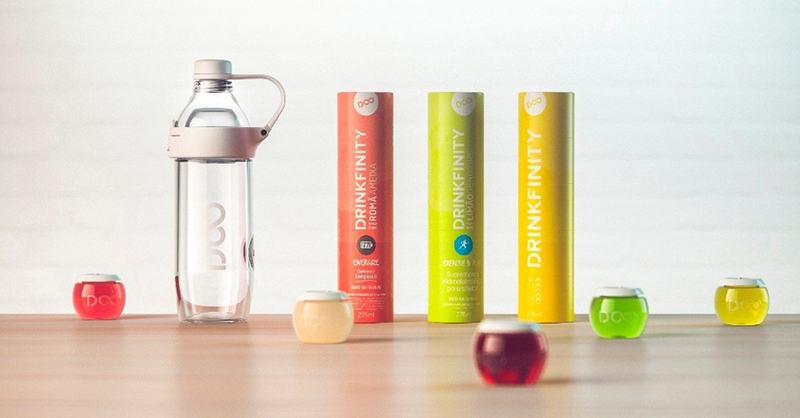 Drinkfinity is a personalized and portable beverage system that allows people to create their own functional beverage experiences all day long.